When a child is diagnosed with cancer, a blood disease or immune deficiency disorder, finding the right care is every family’s first and most important step. Today, more and more families are choosing Cincinnati Children’s, a special place where hematology, oncology, bone marrow transplantation, immune deficiency and vascular malformation experts have earned a strong reputation for providing sophisticated, family-centered treatments and cutting-edge research. From year to year, we are ranked as a top cancer program in the country. The Cancer and Blood Diseases Institute closely integrates patient care and research to advance knowledge and improve outcomes for our patients. We are known for offering the most advanced therapies − some of which were originally developed here by nationally recognized specialists. We are an integrated, multidisciplinary institute. Our four divisions provide medical care and conduct clinical translational research and basic research. Bone Marrow Transplantation and Immune Deficiency are world-renowned programs specializing in transplant therapies, rare genetic conditions and bone marrow failure syndromes. We have developed disease-specific transplant regimens that have improved outcomes and are now the global standard of care. Our internationally recognized specialists manage every stage of treatment. 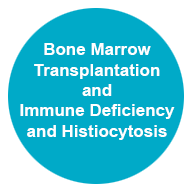 Learn more about the Division of Bone Marrow Transplantation and Immune Deficiency. The Hematology Division provides state-of-the-art treatment for children and adolescents with blood disorders. Our team offers compassionate, comprehensive clinical care to patients and their families while also playing a leading role in many national and international clinical studies, providing patients with early access to innovative therapies and treatments not widely available. 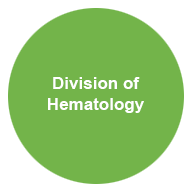 Learn more about the Division of Hematology. The Oncology Division is a national referral center for specialized leading-edge care of children and young adults with cancer and leukemia and for multidisciplinary long-term follow-up of cancer survivors. Through advanced treatments such as proton therapy, we are caring, and curing, patients with challenging conditions that other pediatric hospitals may consider too difficult to treat. 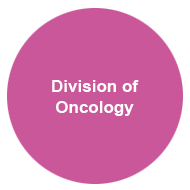 Learn more about the Division of Oncology. 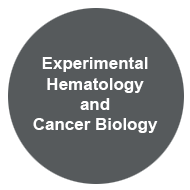 The Division of Experimental Hematology and Cancer Biology is committed to hematology, cancer and gene therapy research and strives to understand the biology of blood cell formation and function and to dissect cancer etiology and pathology. We have a close and specialized relationship with the Cancer and Blood Diseases Institute, enhancing two-way translational research and leading to more innovation in both clinical trials and delivery of care. Learn more about the Division of Experimental Hematology and Cancer Biology.